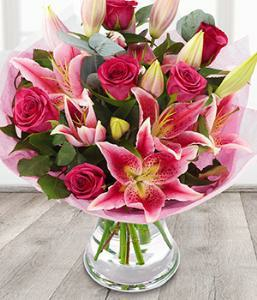 Dazzling pink roses and lilies. Feast your eyes on a bouquet with roses and stargazers. Vase not included.